We didn’t stop at 8. We didn’t stop at 9. We went all the way… 10 Kittens. The level of cuteness is almost painful, but to add to it, we put butterflies in the mix too! Are the kittens plotting to pounce, or looking on with fondness? We may never know, but the charm is too irresistible to ignore. This special cat t-shirt will bring confidence and compliments to your daily life. 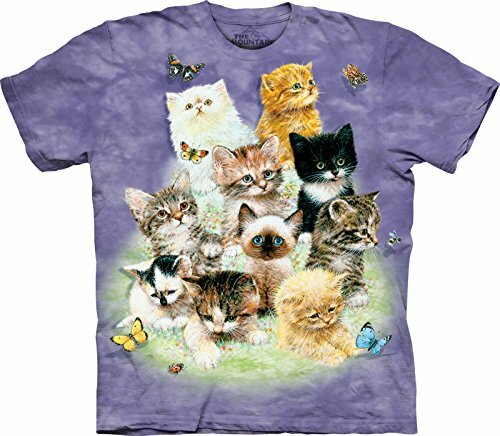 Who wouldn’t benefit from a 10 Kittens t-shirt by The Mountain®?